Do you have food recipes that are on your bucket list to make? I have quite a few I plan on making such as homemade pizza dough, croissants, homemade pie crust, peanut butter pie, and sausage gravy and so much more. I could really go on and on and believe me my list is pretty long but I’ll keep it short today. For things that were on my bucket list that I did complete is homemade ice cream, macaroons, coffee creamer and cashew butter to name a few. So today I am finally crossing off my next bucket list item which is Peanut Butter Pie! It’s so simple, I don’t know why it took me so long to make? 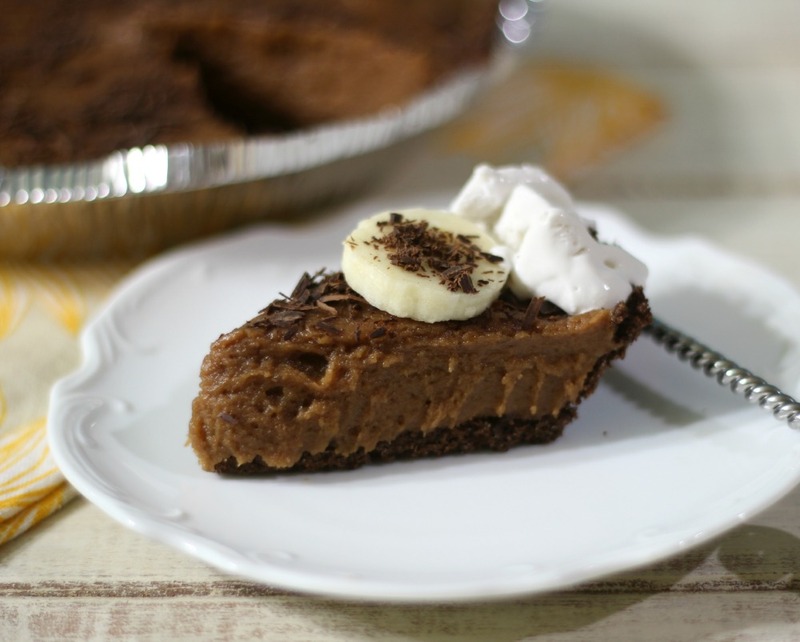 This Coco Bananas Peanut Butter Pie is amazing! 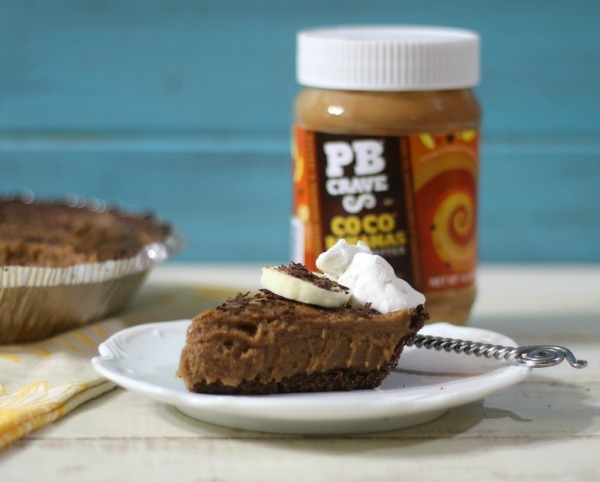 It’s made with PB Craze Coco Bananas Peanut Butter, So Delicious Whip Cream and a chocolate pie crust. How easy is that? 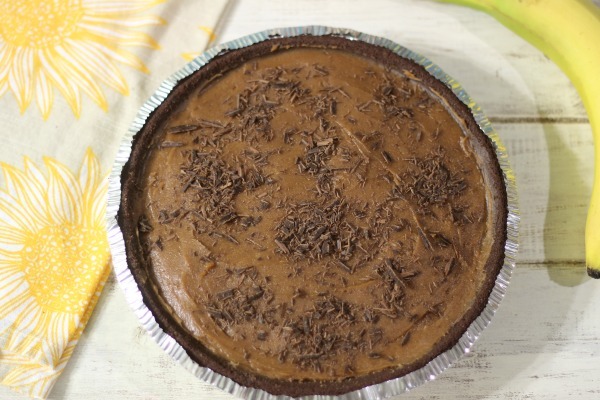 This pie has the perfect chocolate, peanut butter banana flavor. I think I am in love!! For the topping, I sliced some bananas, added a little whip cream and sprinkled with shaved dark chocolate. Yummy! One thing to know is to add the banana’s when you serve the pie otherwise it will turn brown and is unappealing looking. 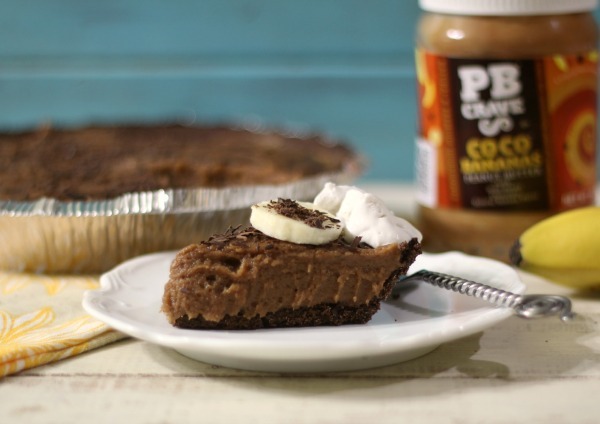 To make the pie all I did was mix together the PB Crave Coco Banana Peanut Butter with whip cream and presto an amazing fluffy filing. For the pie crust I happen to have a gluten-free chocolate pre-made pie crust in my pantry, which made it so much easier. The pie is light, fluffy and delish. I highly recommend chilling it for about 4 hours. In these pictures I chilled it for 2 hours, so the pie is still a little moist. If you serve it this way I highly recommend a big cup of milk. 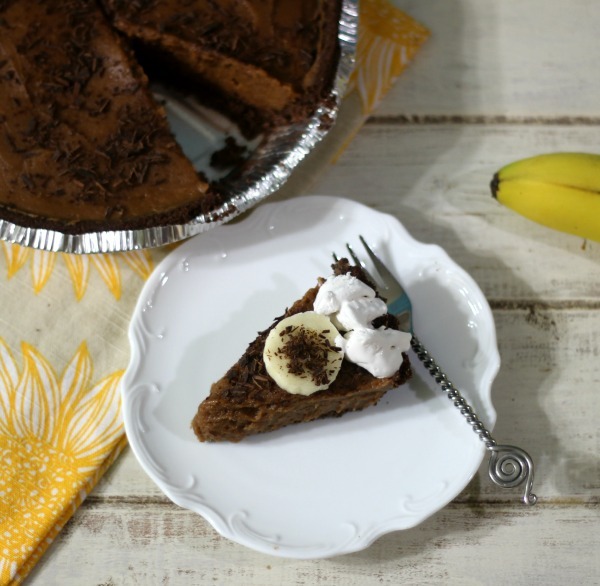 A light, fluffy, rich, creamy peanut butter pie infused with banana flavor and topped with banana slices and whip cream. 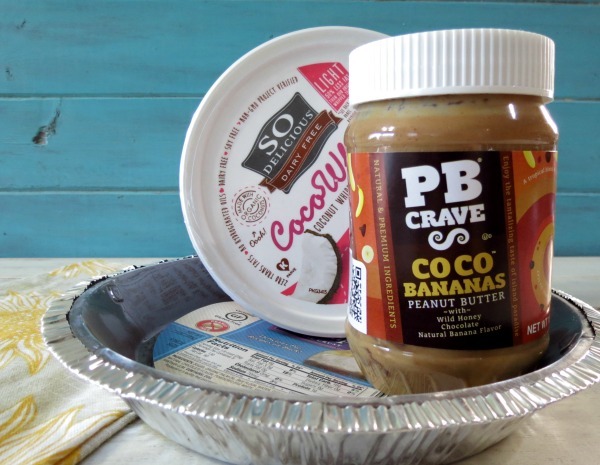 In a bowl, add PB Crave Coco Banana Peanut Butter; whip it until creamy. Fold in Whip cream until combined and no more whip cream streaks. Pour into the pie crust. Refrigerate for at least 2 hours before serving. I made this pie 12 servings because it is very rich in flavor. I just loved this pie and my family did too. I am so happy I got a round to making it. It really couldn’t be any simpler. You can check out the fantastic, crazy, fun flavors of PB Crave at there website. There flavors are out of this world. You can purchase PB Crave at Walmart, Cost Plus World Market or on there website. Girl this pie right here is amazing!! !